Travel to Corfu, Greece: It is possible to travel to Corfu by ferry or plane. Here are travel information about the airport, flights and ferries but also useful numbers, pdf guide and information about our travel services. The airport of Corfu island Ioannis Kapodistrias is located very close to Corfu Town. It receives domestic flights from Athens and Thessaloniki. In summer it also receives direct flights and charters from abroad. In summer it may have air connection with other Greek islands, such as Kefalonia and Zakynthos, operated by the small air company Sky Express. Ferries to Corfu depart from Igoumenitsa and Patra. Ferries from Igoumenitsa need 1h30 to reach Corfu and run from early in the morning until midnight, every 1-2 hours. Ferries to Corfu from Patra are usually overnight and need 7 hours. There are also hydrofoils, carrying only passengers not cars, from Corfu to Paxi island. Moreover, Corfu is reachable by ferry from Italy, particularly from the ports of Venice, Bari and Ancona. These ferries are very convenient for Italian and central European passengers who want to travel with their car. In this section, you will find travel services in Corfu so that you organize your trip in the best way. Have a look at the hotels we suggest and find the perfect place to stay. Book your ferry tickets to Corfu through our online engine, make a car rental or arrange your transfers. If you do not want to get into all these details, ask us to arrange your vacation to this beautiful Greek island. 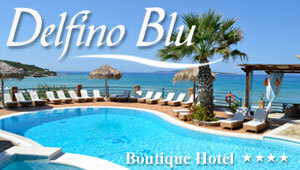 Download a pdf guide of Corfu with information about all things to see and do.